Summer camp is a place to build memories, explore new activities, and make new friends, all in a safe and educational environment. If you’re looking to send your child this year, consider Camp Walt Whitman in New England to give them a summer they won’t forget. Just take it from Zach P., a five-year camper. Although Zach P. hails from Miami, Florida, he has no problem heading back to New England to attend Camp Walt Whitman. Zach describes his experience as a combination of getting to do all the activities he loves plus trying out some new ones with friends and the staff. 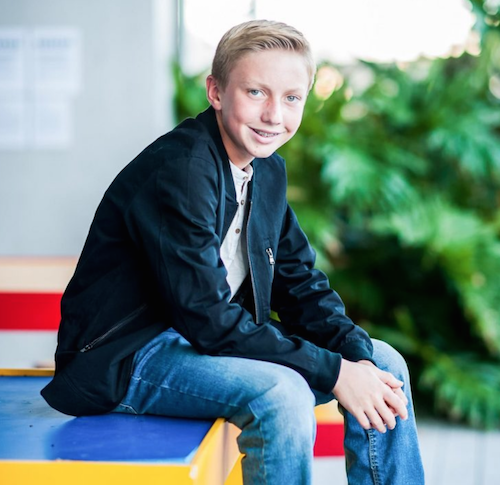 Whether your child is looking to try traditional sports like basketball and baseball or is ready for something different, like wakeboarding or the ropes course, Zach P. says the staff is knowledgeable in each of their specialties. In addition to a variety of activities and hobbies, Camp Walt Whitman offers opportunities for campers to bond with peers, be recognized individually by staff members, and create new memories. Zach P. celebrated his eleventh birthday at summer camp and received a cake and a special T-shirt for all his friends to sign. Camp Walt Whitman also provides campers with a safe and positive environment to share feelings, including Monday community meetings, where Zach P. says they talk about their favorite memories of the week, learn important camp information, and sing songs to help them connect as a group. Because this camp has sleep-away options, campers are able to deepen friendships through their experience of staying in a cabin and away from home. Did your child recently attend Camp Walt Whitman? Consider encouraging them to share their summer camp experience in New England. Whether they liked the food, the crafts, or just the fun times with friends, Camp Walt Whitman wants to hear what their favorite part of summer camp was! All they need to do is head to the submit a story page. If you want to change up your child’s summer routine, look into the different options at Camp Walt Whitman. The staff is dedicated to helping campers develop more self-confidence, be independent, and make lifelong memories. To learn more about the different summer camp programs, call (800) 657-8282 or visit their website.